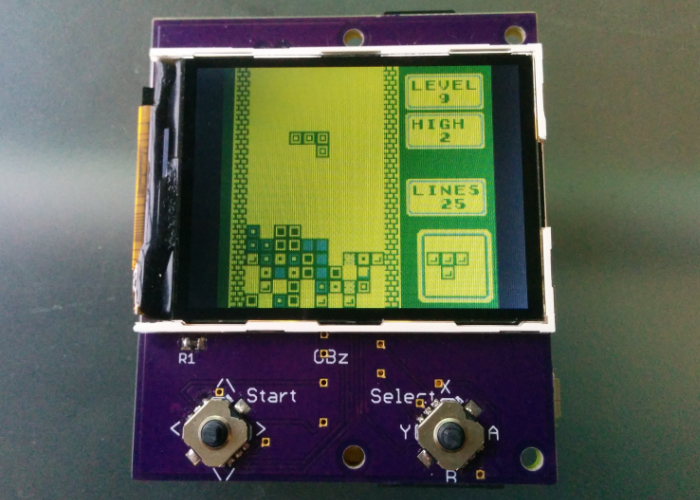 Hackaday.io member Peter Barker (aka "Moosepr") has used a Raspberry Pi Zero to make a tiny GameBoy-style handheld console that runs RetroPie games. It is so small that it is actually smaller than an original GameBoy cartridge. Hackaday.io member Peter Barker wanted to do something a little more interesting than make another Raspberry Pi emulator as many people have done before. According to his blog, Barker has a bit of an "obsession" with making things as small as possible, so naturally this was his target with his project. The device is made from an 2.2-inch 320 x 240 screen, a Raspberry Pi Zero, two 5-way navi-switches, and a 200mAh battery. 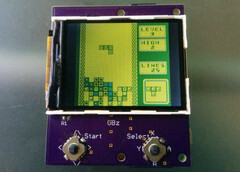 The result is a DIY handheld emulator that does more than the GameBoy, yet is smaller than an original GameBoy cartridge. It might lack comfortable buttons and a speaker, but it *is* absolutely tiny. And even better, since it is just a tiny computer, it runs RetroPie and other software. Barker shows his creation running Tetris and then Sonic the Hedgehog in the YouTube video below.